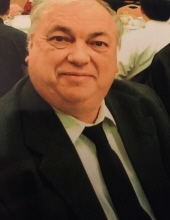 Craig E. Constable , age 67, died on October 6, 2018. A life long woodbury resident, graduating in 1969 from woodbury high school. He worked at Eagle point plant in Westville from 1972-2009. He enjoyed spending his summers in Ogdensburg NY, Ocean City NJ, going to concerts and all things Philadelphia sports. An incredible husband, father and pop pop, he was always involved in his kids activities from coaching to fundraising. He enjoyed volunteering at Evergreen Avenue School and helping students. His sense of humor was famous and he used it to touch so many lives. He is survived by his loving wife Marianne(Mitzel) of 41 years. His children Christopher Constable, Alison Sailor (Brad) , Brooke Constable (Jarrod) his best buddy and grandson Bradford Jr. and nephew Scott Constable (Natalie). Friends may greet the family on Saturday after 9am in the Budd Funeral Home, 522 Salem Ave. (Kings Hwy), Woodbury, NJ. Words of Remembrance will be at 11am. Those desiring may make a contribution to the Gloucester County Animal Shelter, 1200 N Delsea Dr, Clayton, NJ 08312. Memories may be shared at www.buddfuneralhome.com. To send flowers or a remembrance gift to the family of Craig E. Constable, please visit our Tribute Store. "Email Address" would like to share the life celebration of Craig E. Constable. Click on the "link" to go to share a favorite memory or leave a condolence message for the family.